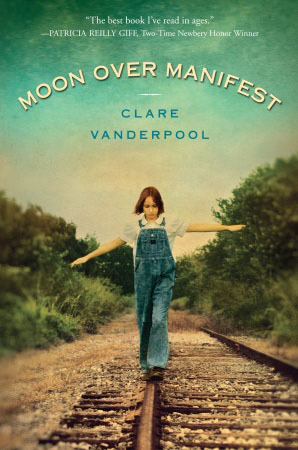 The sign that welcomes 12-year old Abilene Tucker to the small town where her father grew up reads: “Manifest…A Town With a Past.” She soon begins to unravel how the town’s past is intertwined with her own family. But if this town is such a great place for Abilene’s father to leave her, then why doesn’t he come to Manifest with her? The more Abilene discovers about the town’s history, the more mysteries there are for her to discover. Have you ever read a book that made you feel like you were a part of the story? Have you ever come to know and understand a cast of characters so well that you felt what they were feeling? This is the kind of connection that awaits readers of this novel. I loved every minute I spent in Manifest. This is an extremely well-written book with everything I look for: a fantastic plot with a mystery that unravels very slowly, natural vernacular dialogue among the characters, real American history, and touches of legend, laughter, and love. It’s just wonderful. That’s really all there is to say. Plain, simple, beautiful…perfect. I’d recommend this book to anyone, especially lovers of American historical fiction. This book is very similar to the style and warmth of Richard Peck and Mark Twain.